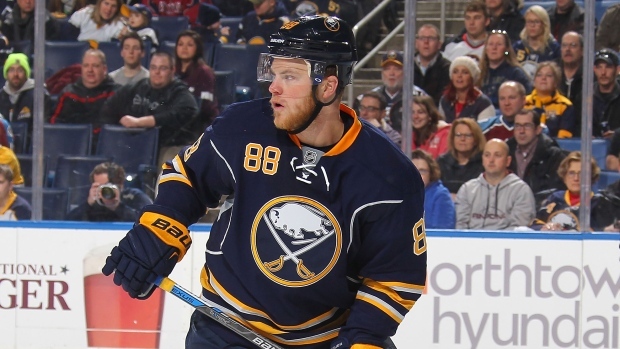 The Buffalo Sabres have traded forward Jamie McGinn to the Anaheim Ducks for a conditional third-round pick. McGinn, 27, has scored 14 goals and tallied 13 assists in 63 games with the Sabres this season. He is playing in the final season of a two-year, $6 million contract he signed with the Colorado Avalanche prior to the 2014-15 campaign. He is set to become an unrestricted free agent this summer. McGinn was acquired by the Sabres in the offseason, in a trade that sent him and forward Ryan O'Reilly to Buffalo in in exchange for Nikita Zadorov, Mikhail Grigorenko, JT Compher and a first-round draft pick. McGinn scored a career-high 20 goals during the 2011-12 season, which sent him from the San Jose Sharks to the Colorado Avalanche ahead of the trade deadline.